It wasn't a great scoring week, in the grand scheme of things, so there were only a couple of close candidates for the Player of the Week, both of which were playing in Nashville, and in the end, it was their number one goalie carrying the load. Pekka Rinne was the best player in the pool, the only player to have 8 points in the week, clearly taking the nod at the end of the week. The Nashville number one finished Week Twenty-One with a 3-0-0 record, with 1 shutout, only allowing two goals against in the week. Rinne was able to beat the Canadiens, Blackhawks and shutout the Blues on Saturday night for his big week, just narrowly edging his teammate Filip Forsberg for the weekly honour. Rinne's numbers have been pretty good this year, as he finished the week ranked 19th overall in pool scoring, 11th among all goalies, thanks to 24 wins, 4 shutouts and 2 assists this year, making up 58 points in total. For Ryan, his 1st round pick is still playing like a 1st round pick, even if he is a little bit below his overall draft position. Rinne was taken 10th overall by Ryan this year, but is still paying off in the 19th overall position. Rinne kept Ryan in the hunt for the Mover & Shaker nod for the week, but the rest of his team had him falling a bit short in the end. Instead, it was Brian who came away as the big Mover & Shaker in Week Twenty-One, as his team put together quite the effort to take the nod, picking up 36 points in the end, 2 points better than Tony and 5 points better than Ryan's team, mentioned above. The Mover & Shaker nod has likely renewed a whole bunch of hope that Brian's team could offer up a challenge for the money positions before the end of the year. What a solid week across the board for Brian's team, as his side only had one player on his active roster that finished with no points in the week, otherwise, it was points coming from anywhere and everywhere. 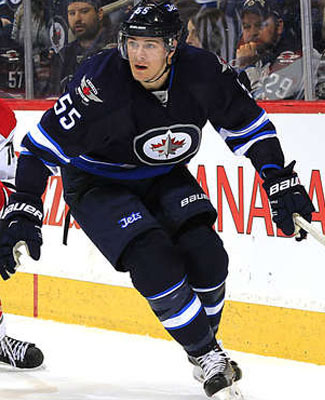 Mark Scheifele of the Jets and Johnny Gaudreau of the Flames both led the way in the week before the trade deadline, each picking up 5 points. Evgeny Kuznetsov of the Capitals and Jhonas Enroth of the Kings each chipped in with 4 points a piece and then you can add 3 points from Jamie Benn of the Stars and Cam Talbot of the Oilers, that encompasses all of his top notch forwards and both of his goalies in the impressive week. Brian's team is finally working its way out of a mid-season lull it was suffering from, as the best team, so far, in the third segment of the season. Brian's team was in the money conversation early on in the season, peaking at 4th place as late as Week Five, but dropped down to 12th in Week Fourteen. His team has really started to make a turn and with the names that are listed above, that shouldn't come as a major surprise. Some injury problems were to blame for that drop and maybe a lack of scoring depth in the dog days. Nevertheless, his team is back up to 5th place, thanks to his Mover & Shaker week and he is right back into the money conversation, now 5 points out of 4th place and 12 points out of that last paying spot, 3rd place. His team made up 18 points on John P.'s money team, so there is plenty of potential to do it sooner, rather than later. Two players on the Injured Reserve, both done for the remainder of the regular season, with six weeks still to go, is really going to hurt Stacey M's chances of not being in the Basement Dweller nod from one week to another. Yes, both James Van Riemsdyk in Toronto and Jeff Petry in Montreal have been shut down to injury and it doesn't help that Shea Weber has also been on the shelf this week in Nashville, and that all adds up to 9 points in the week. Stacey's team didn't have very far to drop, as her team had a cushion before the 24th ranked team, which was also vying for the Basement Dweller this week, but her team really fell away from 22nd overall and the conversation for last place is increasing to five teams this week. With a weighted draft order system now in place, it isn't a terrible thing to finish at or near the bottom. Out of her team's 9 points, Lars Eller of the Canadiens, Morgan Reilly of the Maple Leafs and Antti Niemi of the Stars led the way, each with 2 points, making up the gist of her scoring for the week. As we head into the trade deadline today, her team does have one of the big chips in play today, as Jamie McGinn of the Sabres could get dealt to a contender, helping her team's cause immensely... or as best he can. Jeremy almost gave up 1st place overall for the Newsletter mention, as Brenda & Seward's team put up a pretty good week, closing the gap back down to 1 point at the end of the week, down from 5 points at the end of Week Twenty. At a couple points in time, they even held the lead, but the Newsletter is the know-all end-all of the week. John P.'s grip on 3rd place has been slipping, as was mentioned in the Mover & Shaker this week, but it's both Neil and Brian coming up for him this week. Neil will start Week Twenty-Two with only a 7-point gap to make up this week and that isn't very much, as we've seen from week-to-week. The PIM pool gets bumped up the rankings in the Newsletter this week, because it is the only mini-game with a race left in it. Wes dominated Derek & Dan this week, to open the lead back up to 35 minutes, after a 30-8 romp in the week. It's still only a two-horse race though, as Dale B. is still 21 minutes behind the pool's third duo after making up 14 minutes and things should still come around and make this one interesting. Has Ryan won this mini-game yet? Probably. Do I still have to write about this mini-game still? Well, okay... maybe a little bit. Ryan's rookies were not tops in the week, as that honour actually belongs to Mike, as all three of his rookies hit the board in Week Twenty-One, leading all rookie teams with 5 points. Small consolation, I suppose... there's no prize for each week. Could there have been nerves through the last week before the trade deadline? Scoring was down by a point and a half per game, we were down an entire minor penalty per game and participation from players and goalies were all down too. It wasn't really a good week for the pool, in the grand scheme of things. Maybe once the deadline passes this afternoon, everyone will feel a bit better and go back to what they do best. At the Stadium Series game in Denver, it would have been a pretty big disappointment to be a healthy scratch in that game and that's what it likely was for Teemu Pulkkinen, who returned to the press box, just in time to miss a grandstand game like that. Pulkkinen has been a fairly regular scratch this season, featuring in only 32 games this season, about half, and there's a pretty good chance he'll feature as the lead popcorn guy for a few more down the stretch as well. Kristy & Don activated him in their lineup in Week Nineteen and since then, he's only played in three games and not registered a point yet. Maybe my mock draft wasn't so hot for them, eh? As the trade deadline rolls closer and closer, there are a lot of eyes on the Toronto Maple Leafs and one of their trade pieces, PA Parenteau, was reportedly hurt in Saturday night's game against the Canadiens, dealing with some cramping of some sort. Of course, when he left the bench, it caused quite the stir, but as of finishing this Newsletter on Monday morning, he still hasn't been dealt yet. There's a pretty good chance that John P. will get a little bit of help with a deal that sees his player head to a contender, it's something his team could really use about now, after a bit of a soft week in the standings. It was a rare start for Al Montoya on Sunday, as the Panthers number two goalie got the nod for the game against the Wild in the afternoon, but his appearance lasted less than eight minutes, as he suffered an upper-body injury in the game and was unable to finish. The injury did appear to be a head injury, as he took an accidental elbow early on in the game, but I would have to think that the team will wait to see what his tests come back as today, before they make any big announcement. This has some potential to be a big loss to Jeremy, despite only getting the odd start here and there. Montoya has been great as the number two guy in Florida and our pool leader has already picked up 12 points from him this season, coming as a Waiver Draft pick. That's not too bad. I may have missed this once or twice in the last few weeks, but the 39-year old defenseman on Long Island, Marek Zidlicky, was again a healthy scratch on Sunday, as the Islanders were in Edmonton for one of the late games. Zidlicky has played in 48 games this year, picking up 15 points, so he has been somewhat productive this season, but his age does lend itself to being a healthy scratch on a regular basis this season. All three teams made up ground on Benson, as his aging defender sat up in the press box on Sunday night. Benson's team is only 9 points up on 27th place, but on the plus side... his team did make up some ground on Stacey M., who is only 4 points away. One last note to add here at the end... it appears that Edmonton forward Benoit Pouliot suffered a significant shoulder injury in that game against the Islanders last night, as the coaching staff believe it is going to be more than a day-to-day injury. That's a tough loss for the Oilers, if they were still in the playoff hunt, but improving their lottery status for June isn't a terrible thing either. How many more 1st overall picks can they get in the next decade? Mike's rough season continues to get rougher and rougher. His team ranks tied for 15th in skater games played this year, 53 games back of the healthiest team, tied for 19th in forward points, 111 back of the leader in the category. It's been a hard luck year, but it could make for a good start to next year, with a high profile pick!